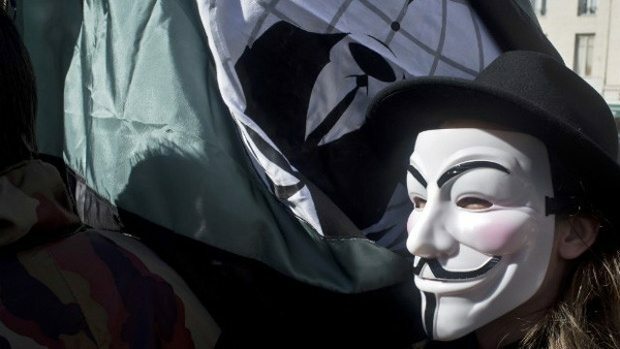 Anonymous hacker group shuts down two websites of Florida in Fort Lauderdale in response to the banning of feeding for the homeless. Hacker team Anonymous shutsdown two officialwebsites in Florida makingthreatsafter thecitybansfeedingfor the homeless. Fromthe video posted by Anonymous on Monday, a mysterious person wearing mask and speaks with digitally-altered voice threatening to crash the websites if Fort Lauderdale city will not lift bans on panhandling at intersections, sleeping in public downtown and feeding the homeless. The websites FLPD.gov and FortLauderdale.gov have been off for a number of hours on Monday but backup later that night. Denial of the service hacking resulted a web traffic imposing the city to shut down their sites to have preventive precaution. According to Sun Sentinel, no major services were affected, however, people are not able to neither pay utility bills nor find details regarding government information. Lee Feldman, the city manager said thatcity officialswerediscussingregarding the issue. Fort Lauderdale caught the national attention last month following the incidence where city police found Arnold Abbott, 90-year-old World War ll veteran together with the two pastors feeding homeless people at Fort Lauderdale Beach. Abbott and company served a four-course meal to the beach as nearly 100 crowds (mostly homeless) and volunteers are cheering for their arrival. Despite of the charges violating the new law regarding feeding the homeless, Abbott said he is not discouraged and even went back serving more food at the public park. Abbott, also known as “Chef Arnold” has quite a lot of programs including culinary school for training the homeless and helps them in finding jobs in the local kitchens. Chef Arnold along with the two South Florida ministers is facing up 60 days in jail and a fine worth $500. Fort Lauderdale is the current city in the USA to have passed the restrictions for feeding the homeless people in the public places. Supporters of the homeless say that, cities are combating to control the growing numbers of homeless people but they just simply pass the ordinance but do not work to address the root causes. According to the National Coalition for the Homeless, these past 2 years, over 30 cities have introduced similar laws. Tough winters have driven lots of homeless people to the southern states like Florida. Mayor Jack Seiler thought that Abbott and Ministers Mark Sims and Dwayne Black have good intentions; however the city could not classify the law. He stressed out that the city is working hand in hand with the local charities in helping the homeless by indoor feedings along with the programs in helping them get medical care and a long-term assistance. The new law of Fort Lauderdale requires clusters to have at least 500 feet away from the residential properties as well as food sites were restricted into one for every block of the city. However, charities have condemned the rules being the form of implementing the cities social cleansing. This very the same laws are being observed by the other cities such as Los Angeles, Dallas, Seattle, Phoenix and Philadelphia.